The Loft: YouTube: Assessment. Resource. Curation. 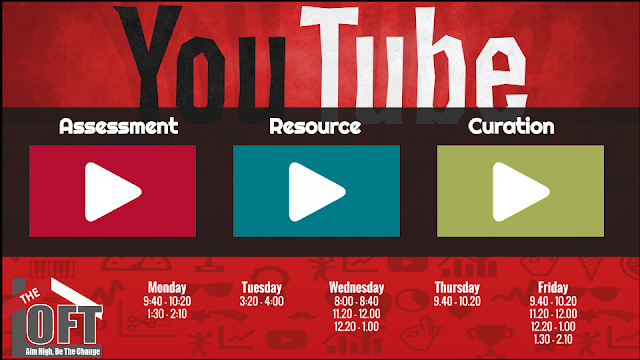 YouTube has long been used and valued by teachers as a valuable resource in the classroom. There are videos on every topic... But what other ways are there to use YouTube in support of learning? Welcome to this week's session where we attempt to explore that question. This session is hands on and participants will be engaging in each of the goals using their own YouTube account (or class account).